Velcro on all 4 sides. 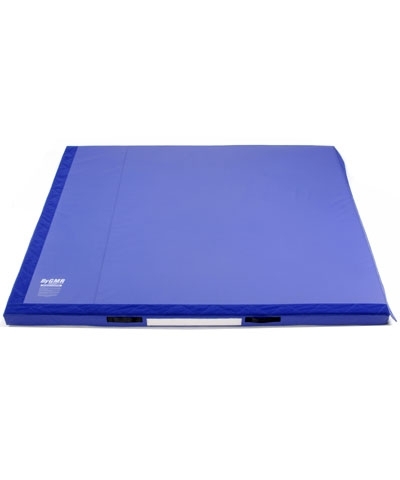 7.5'x8'x12cm V4 Competition Landing Mat-The Ultimate Landing Mat. All By GMR Competition Landing Mats are available in a new smaller size with 4" hook and loop standard on all 4 sides. 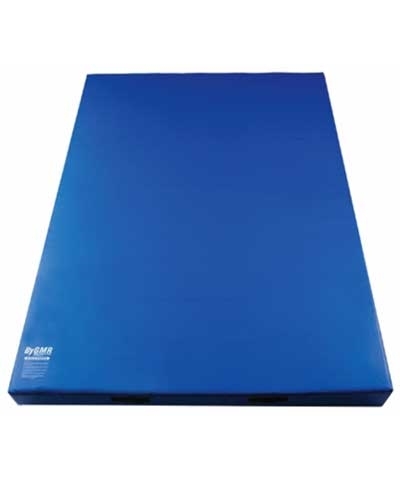 Each mat features 1.25" EVA over 3.5" of prime polyurethane foam, a total thickness of 12cm (4-3/4"). Covers are royal blue, 18oz. 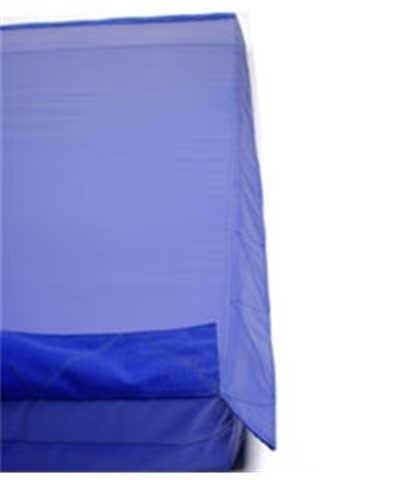 double coated polyester fabric with breather fabric side panels and reinforced handles. 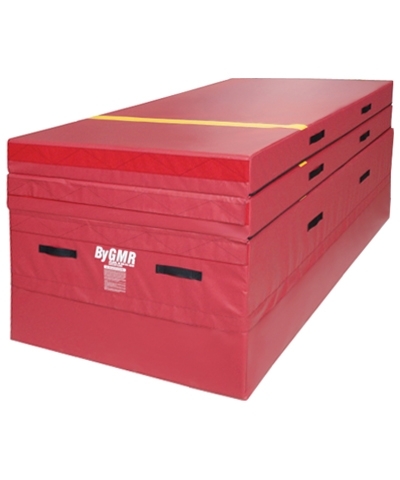 Two 7.5x8' mats can be joined togehter to yield a 7.5'x16' bar landing mat, 3 will yield 7.5'x18'bar landing mat or. 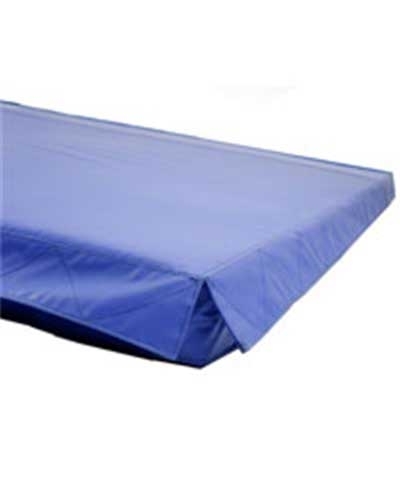 Join one 7.5'x8' to a 8'x8' to make 8'x15.5' beam landing mat. Must ship Motor Freight. Please use the quote button to request shipping charges.